Male holotype K. hirsuta, dorsal and ventral views. Thick matting of hairlike structures (setae) intertwined with clusters of filamentous bacteria on the chelipeds and walking legs. 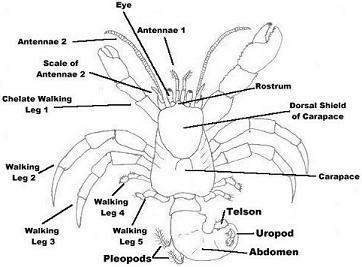 Follow these links to learn about the digestive tract and cardiovascular system of decapods.